Film Synopsis: This is the story of the first-ever international grassroots campaign to successfully use economic pressure to help bring down a government. Recognizing the apartheid regime's dependence on its financial connections to the West, citizens all over the world, from employees of Polaroid to a General Motors director, from student account-holders in Barclay's Bank to consumers who boycott Shell gas, all refuse to let business with South Africa go on as usual. Boycotts and divestment campaigns bring the anti-apartheid movement into the lives and communities of people around the world, helping everyday people understand and challenge Western economic support for apartheid. Faced with attacks at home and growing chaos in South Africa, international companies pull out in a mass exodus, causing a financial crisis in the now-isolated South Africa and making it clear that the days of the apartheid regime are numbered. This film is part of the Have You Heard From Johannesburg? documentary, which chronicles the unprecedented international movement of citizen activists who fought for three decades to bring down the brutal, racist system of apartheid in South Africa when their governments would not. Hosted by Students for Justice in Palestine and the African Student Association at DePaul University. Cosponsored by American Friends Service Committee. 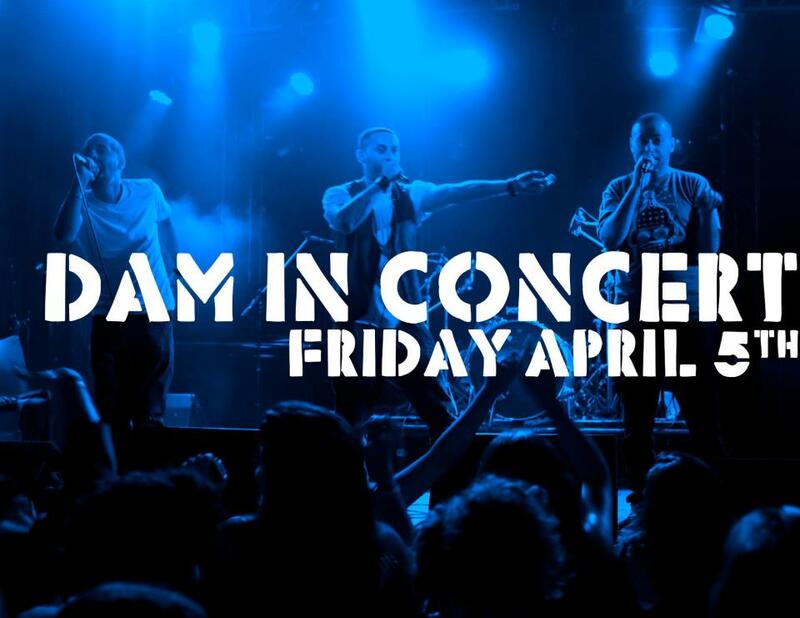 About DAM: Heralded by the major French newspaper Le Monde as “the spokesman of a new generation,” DAM, the first Palestinian hip hop crew and among the first to rap in Arabic, began working together in the late 1990s. Struck by the uncanny resemblance of the reality of the streets in a Tupac video to the streets in their own neighborhood of Lyd, Tamer Nafar, Suhell Nafar, Mahmoud Jreri were inspired to tell their stories through hip hop. Ten years of performing all over the world has strengthened DAM’s commitment to continue living in their hometown of Lyd – fifteen minutes from Tel Aviv – working to provide the youth of the city and neighboring communities with programs and opportunities that have otherwise been denied to Palestinian citizens of Israel. In addition, they have conducted workshops for young people from the West Bank to the US, Canada, and Europe. DAM’s music is a unique fusion of east and west, combining Arabic percussion rhythms, Middle Eastern melodies, and urban hip hop. Their work has been influenced by artists as varied as Ghassan Kanafani, Ahlam Mosteghanemi, Mahmoud Darwish, Naji al Ali, Tupac, Biggie, Public Enemy, MBS, K'naan, and Pharoahe Monch. Check out their latest music video for "If Only I Could Go Back in Time"
$5 cost for General Admission; to reserve a ticket, you must RSVP to sjpluc@gmail.com with subject header of "DAM Concert" and with your name as it appears on a valid ID. Chicago Palestine Film Fest Fundraiser Celebration Soiree: An Evening of Arts, Music & Celebration! Help support the world's first and longest running film festival dedicated to Palestine and help continue the tradition of bringing the stories of Palestinians to Chicago. In its 12th year, CPFF will celebrate with a live art show, culture, food, giveaways, and much more. Don't miss this event and get your tickets as soon as possible by visiting http://palestinefilmfest.eventbrite.com/. Advance tickets are $15; $20 at the door (additional donations are welcome). Join Our Tax Day #DemandARefund Twitter Action! Call Ben and Jerry's Action!